“For to us a child is born, to us a son is given, and the government will be on his shoulders. And he will be called Wonderful Counselor, Mighty God, Everlasting Father, Prince of Peace. Of the greatness of his government and peace there will be no end. He will reign on David’s throne and over his kingdom, establishing and upholding it with justice and righteousness from that time on and forever. The zeal of the Lord Almighty will accomplish this” (Isaiah 9:6-7). Most Christians acknowledge that Jesus (Yeshua) was not born on December 25 in the middle of winter. Yet few realize that Yeshua’s birth is outlined in the Bible if they could unravel some of the clues given to them in the gospels and refer back to the Hebrew Scriptures. The account of our ‘reason for the season’ begins in the book of Luke chapter one when Zechariah was in the Temple at Jerusalem burning incense to God. The time of his Temple service is the key to understanding when of the birth of his son, John took place, as well as the birth of Yeshua. 1. Zechariah was a Levite priest in of the lineage of Abijah, a descendant of Aaron (Luke 1:5, Numbers 3:2). “In the time of Herod king of Judea there was a priest named Zechariah, who belonged to the priestly division of Abijah; his wife Elizabeth was also a descendant of Aaron” (Luke 1:5). 2. All Levitical priests, including Zechariah, were required by God to serve in the Temple during Passover, Pentecost (Shavuot), and Tabernacles as well as two weeks extra per year according to their family lineage (Deuteronomy 16:16). “Three times a year all your men must appear before YHVH your God at the place he will choose: at the Feast of Unleavened Bread, the Feast of Weeks (Shavuot/Pentecost) and the Feast of Tabernacles” (Deuteronomy 16:16). 3. Abjiah was eighth in line for Temple duties. This means that as a descendant of Abijah, Zechariah was eighth in line for his Temple duties (1 Chronicles 24:10). “With the help of Zadok … David separated them [the descendants of Aaron] into divisions for their appointed order of ministering. … The first lot fell to Jehoiarib … the eighth to Abijah …. This was their appointed order of ministering when they entered the Temple of the LORD according to the regulations prescribed for them …” (Numbers 1:1-19). 4. Zechariah would have served during the week of Passover and Unleavened Bread in the Temple as part of his required Temple service. The Biblical calendar is not the same as the Julian/Gregorian calendar we use today. Passover is our March/April, Pentecost (Shavuot) near June, Tabernacles or Sukkot September/October. The Scriptures utilize a Biblical calendar with the first month being in spring at the time of Passover (Exodus 12:2). Zechariah would have served in the spring for Passover/Unleavened Bread. After Passover, he would have returned home until his lineage service began, eight weeks or about 50 days later. 5. Zechariah would have returned to the Temple for his two week duties as part of the lineage of Abijah. This would have fallen in mid-June during the Feast of Weeks, Shavuot (Pentecost). 6. 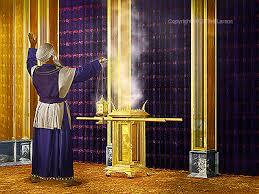 An angel of the LORD appeared to Zechariah during his time in the Temple at the Altar of Incense. As a descendant of Aaron, he would have ministered in the Most Holy Place. It is at the Altar of Incense that intercessory prayer is made by the priesthood. The angel of the LORD met Zechariah at this specific place and time. He told him he was going to have a son who he was to name John. Because of his unbelief, Zechariah is made mute by the angel until the time of his son’s birth. “… your prayers have been heard. Your wife Elizabeth will bear you a son, and you are to give him the name John” (Luke 1:13). 7. Zechariah returns home after his Temple service. He and Elizabeth conceive a child. Elizabeth remains in seclusion for five months. “When his time of service was completed, he returned home. 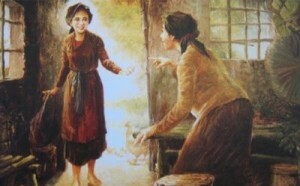 After this his wife Elizabeth became pregnant and for five months remained in seclusion” (Luke 1:23-24). 8. One month later, “when Elizabeth was in her sixth month,” the angel Gabriel visited Mary (Luke 1:26). Some people question whether this was the sixth month of the year or the sixth month of Elizabeth’s pregnancy. With the wording of Elizabeth being in seclusion for five months and then “in the sixth month,” it would seem that the months are contiguous and based on Elizabeth’s pregnancy. Also, the angel tells Mary “Even Elizabeth your relative … is in her fifth month” giving a witness to the timing of the angel’s visit (Luke 1:36). 9. Mary conceives a child by the Holy Spirit and immediately goes to visit Elizabeth. “At that time Mary got ready and hurried to a town in the hill country of Judea, where she entered Zechariah’s home and greeted Elizabeth” (Luke 1:39). When Mary greets her cousin, the baby in Elizabeth’s womb leaps. According to the time period given for Elizabeth’s seclusion, this most likely would have been the first contact she had with another woman and maybe even the first time she felt the movement of her child. 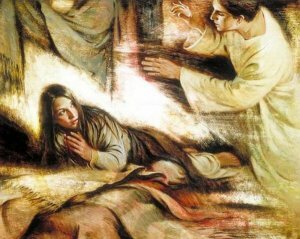 It is apparent that her unborn son knew the blessing of the Spirit of God on Mary. The meeting of these two pregnant women had such profound significance that Luke recorded it with details. Elizabeth’s baby leaps for joy in the womb recognizing the newly conceived Messiah of Israel. “As soon as the sound of your greeting reached my ears, the baby in my womb leaped for joy” (Luke 1:44). Six months after Zechariah’s Temple service in mid-June would be about mid-to-late December. The Feast of Dedication or Hanukkah occurs at this time as a memorial to the rededication of the Temple after it was defiled by the Greeks. It is also known as the Festival of Lights because the Temple Menorah was once again lit after its desecration. It was during Hanukkah, the time of dedication, that the Spirit of God came upon Mary and she conceived Immanuel, God with us, the Light of the World. “My soul glorifies the Lord and my spirit rejoices in God my Savior, for he has been mindful of the humble state of his servant. From now on all generations will call me blessed, for the Mighty One has done great things for me— holy is his name” (Verses 46-49). 10. Mary stays with Elizabeth for about three months. “Mary stayed with Elizabeth for about three months and then returned home. When it was time for Elizabeth to have her baby, she gave birth to a son” (Luke 1:56-57). Mary returns to Nazareth very close to the time Elizabeth would deliver her baby. The timing for the birth of Elizabeth’s baby would be mid-March/April or near Passover. 11. On the eighth day after the baby’s birth, he is circumcised and named. Continuing with the Biblical timeline, Zechariah’s son would have been born right before Passover. This means that Zechariah would have gone to the Temple for his regular service at Passover and while there, he names his son, John, in the presence of astonished people. This is the first time he has spoken since the angel visited him months before at the Altar of Incense on Shavuot. “At that moment, his power of speech returned, and his first words were a b’rakhah [blessing] to God” (Luke 1:64). 12. From the information given about the conceptions and pregnancies of Mary and Elizabeth, it can be calculated that John and Jesus (Yeshua) were born six months apart. Six months after Passover in the spring (March/April) would be the fall (September/October), the time of ‘ingathering’ or the Feast of Tabernacles. The Feast of Tabernacles also falls approximately nine months after Hanukkah in December. Because of the Roman census being taken by Caesar Augustus, Bethlehem was bustling with Jews from everywhere in Israel. All native born Israelites, specifically men, were required to live in booths or sukkot for the week of Tabernacles. Women and children who were with their husbands filled all of the inns to capacity. “Live in booths (sukkot) for seven days: All native-born Israelites are to live in booths so your descendants will know that I had the Israelites live in booths when I brought them out of Egypt” (Leviticus 23:42). Under these crowded conditions, Joseph and Mary are given a temporary dwelling, called a stable in most Bible translations, and Mary gives birth to her son. The baby was placed in a cattle feeding trough (Luke 2:4-7). “And she gave birth to her firstborn, a son. 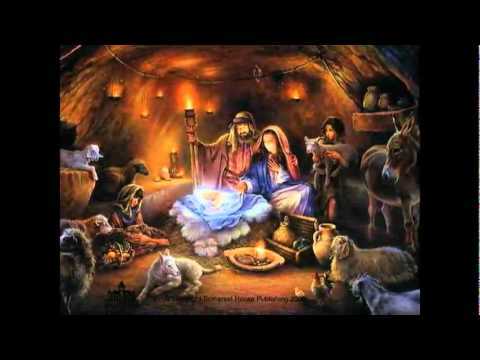 She wrapped him in cloths and placed him in a manger (sukkah) …” (Luke 2:6). 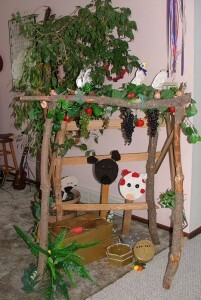 According to the command in Leviticus 23, the Israelites were to live in a sukkah for seven days. Consistent with the rabbinical definition of a temporary dwelling or sukkah, a stable would have been an acceptable substitute. Because of the timing of Yeshua’s birth during the Feast of Tabernacles, many people believe that it was not a literal stable, but a sukkah. The Greek word for ‘manger’ in Luke 2:7 is phatne and can mean ‘cattle stall’ or sukkoth just like what Jacob built for his livestock (Genesis 33:17). The equivalent Hebrew word for ‘manger’ is the singular sukkah. Using this information along with the established timeline, Yeshua would have been born on the first day of the Feast of Tabernacles and would have lived with his parents in the sukkah for the first seven days of his life until he was circumcised and named on the eighth day. Whatever the specific accommodations, Joseph fulfilled God’s requirement to live in a temporary dwelling during Sukkot as did Yeshua who was the firstborn son of God. 13. The angels rejoiced because ‘The Word became flesh and made his dwelling among us…’ (John 1:14, Luke 2). The Greek word for ‘dwelling’ in this verse is skenoo and means ‘spread his tent’ among us. As a booth or sukkah is a temporary dwelling like a tent, this verse could read, “The Word became flesh and spread his tent (tabernacle) among us” making a direct allusion to Yeshua being born at the Feast of Tabernacles. 14. On the first day of the Feast of Tabernacles, the priests in the Temple would wave large branches of several different trees in the Temple. These branches were called lulavs and represented the different nations of the world. Hundreds of priests waving large branches from the willow, the palm and the myrtle, would have created an enormous sound like a ‘rushing wind’ as they walked toward the Temple. In Hebrew, the word for God’s Spirit is ruach and means ‘wind.’ As the priests were waving these tree branches, they were unaware of the birth of Yeshua. They had no idea that the salvation of Israel, through the ‘wind’ of God and a humble woman, had come to live in a little baby. “So beginning with the fifteenth day of the seventh month… celebrate a festival to the LORD for seven days …. On the first day you are to take choice fruit from the trees, and palm fronds, leafy branches and poplars, and rejoice before the LORD your God for seven days” (Leviticus 23:39-41). 15. There were shepherds in the hills outside of Jerusalem (Luke 2:8-15). “As for you, O watchtower of the flock, O stronghold of the Daughter of Zion, the former dominion will be restored to you; kingship will come to the Daughter of Jerusalem” (Micah 4:8). At the time of Yeshua’s birth, there was an actual military watchtower above the hills that was used to protect Bethlehem. 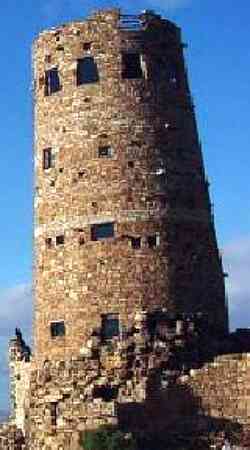 This tower also was used by the shepherd to guard the Temple sheep from robbers. It was from these sheep that the Passover lambs were chosen. When the angels came announcing the ‘good news’ to all the world, these shepherds would have completely understood the meaning because they were at the exact location for the prophesy of Messiah’s birth to be fulfilled. 16. Eight days later, it was time for the baby’s circumcision and naming (Luke 2:21). “Joseph, son of David, do not be afraid to take Mary home with you as your wife; for what has been conceived in her is from the Holy Spirit. She will give birth to a son, and you are to name him Yeshua, [which means ‘the LORD saves,’] because he will save his people from their sins” (Matthew 1:21-22). The Feast of Tabernacles is celebrated for seven days. The following day, the eighth day, there is a special celebration called Simchat Torah which means ‘Rejoicing in the Torah.’ As Yeshua was being named by his father, crowds were in the Temple courts dancing, singing, and rejoicing in the Torah. In their midst, without their knowledge, the living Torah had just been named Salvation. “On the eighth day, when it came time to circumcise him, he was named Yeshua, the name the angel had given him before he had been conceived” (Luke 2:21). “When the days of her purification for a son or daughter are over, she is to bring to the priest a year-old lamb … and a young pigeon or dove…. He shall offer them before YHVH … and she will be ceremonially clean from her flow of blood. …If she cannot afford a lamb, she is to bring two doves …” (Leviticus 12:6-8). Forty days after Yeshua’s birth, Mary’s time of purification was completed. She and Joseph took Yeshua to the Temple for the Redemption of the Firstborn according to the Torah command in Leviticus 12:8. It was at this time, they offered the sacrifice of the doves. “When the time of her purification according to the Torah of Moses had been completed, Joseph and Mary took him to Jerusalem to present him to the Lord (as it is written) …” (Luke 2:22). There were two prophets in the Temple who knew and expected the Word to become flesh, salvation of Israel to be revealed. Simeon and Anna, two witnesses to Messiah’s birth, spoke prophecies over Yeshua in the presence of his parents. “Now there was a man in Jerusalem called Simeon, who was righteous and devout. …There was also a prophetess, Anna, the daughter of Phanuel, of the tribe of Asher” (Luke 2:25,39). 18. At this time, a sign appeared in the heavens (Matthew 2:1-2). Every kingdom in the known world had astronomers who studied and understood the signs in the heavens. Each culture, but more specifically the Jewish culture, looked to the heavens for the fulfillment of Biblical prophecy. Constellations, planets and stars moved to tell God’s story as well as to set His ‘appointed time’s. Other middle eastern cultures studied the Hebrew concepts and understood their connection to the people of Israel. 19. The magi or wise men arrived in Bethlehem. 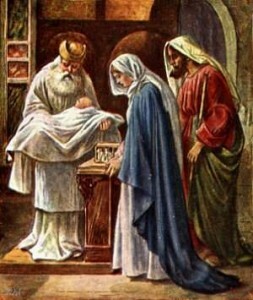 “On coming to the house, they saw the child with his mother Mary, and they bowed down and worshiped him” (Matthew 2:9). The journey of ‘the wise men,’ (number unknown and probably a lot more than three) took a long time to get to Israel as they were on foot and traveled a great distance of nearly 500 miles. When they finally arrived in Jerusalem, Yeshua was no longer a baby nor living in a sukkah. The Scripture calls Yeshua a child and the wise men came to his home with their gifts. They returned back to Iran/Iraq by a different route because Herod was angry that there was another ‘king’ and sent out an edit for the murder of all baby boys under the age of two in and around Bethlehem (Matthew 2:13-18). This is how the conception, birth, and life began for Yeshua. According to the information written in the Torah, Prophets, and Gospels, Yeshua was born in the ‘season of our rejoicing’, on the first day of the Feast of Tabernacles in a sukkah. The shepherds knew from the angelic hosts that ‘peace on earth and good will toward men’ had come as the ‘lamb of God’ in the town of the Migdal Eder, Bethlehem. While all Israel rejoiced in the Torah given by God, the living Torah, the begotten Son of God was circumcised and named Salvation. (For a hard copy of this blog post, please purchase Journey with Jeremiah: Nourishment for the Wild Olive. Thank you. Thank you for your encouragement. I’m glad you find it helpful to teach others. Many blessings to you. Shalom. Wonderful, chronological, backed up with scripture, teaching. Thankyou so much!!! So, Jesus was born about October 8? Did you cross check this with the time of the rulers and the date for the degree to get numbered? I have often wondered if October was the month Jesus was born as satan puts so much effort into it…also makes me wonder if Jesus will be returning in October as well. Actually, I have not cross-checked the specific date of October 8 because the Hebrew/Jewish/Biblical calendar is very different from our Gregorian one. This year the first day of Tabernacles is October 8, but another year it could be early or late September. The post was more about knowing the ‘day’ and ‘season’ of Messiah’s birth within the ‘appointed times’ rather than the day that is usually considered his birthday of December 25 or the argument that we can’t know when he was born. 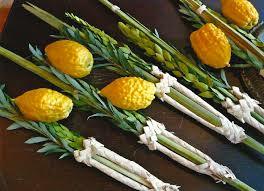 If you come across information cross checking the first day of Sukkot in the year that Yehsua was born (even that I believe is somewhat a conjecture), please share it. I would love to know what you have found. Very good article….I shared it on my Facebook wall. I find it interesting that when you share truth with people, if they’re not ready to hear it, they get very defensive and sometimes down right hostile. Then they start quoting scripture that they have no idea what they are really quoting. They just quote passages that they’ve heard from the pastor without doing the research into the Hebrew context. Do you have information on whether we should celebrate Christmas? Whether it’s celebrated as Yeshua’s birth or the Americanized version of Christmas? I’ve been sharing with my family but they aren’t listening. Maybe if they see it in print from others they’ll understand without being angry. Thank you…Shalom!!! Thank you for your encouragement on the article. I hope by your sharing it, more people see and come to the knowledge of the Truth. It is difficult to share the Truth with those whose ears are not open or the veil has not been removed from their eyes. Warm fuzzies are warm and fuzzy! My own family has never ‘heard’ the Truth and we have not celebrated Christmas for over 20 years. As for information on Christmas, here a link to some articles I’ve written in the past: http://tentstakeministries.net/posts/non-biblical-holidays/christmas/. I’m very hesitant to argue Christmas or other non-biblical holidays because I believe we are to live such holy, set apart lives to the Lord, that people ask us questions on ‘why’ we do the things we do or why we don’t. We have found that as people begin to understand and celebrate the Biblical holy days, the pagan ones lose their fascination because there’s nothing really spiritual within them. In other words, Christ was never in Christmas so there’s nothing to keep him there when the Truth is revealed apart from tradition and even rebellion. As I mentioned above, we just really believe in living such holy lives that the world wants to know and have what we do. My husband’s family are all atheists and have always sent our children Christmas gifts and we accepted them not because we support Christmas but because James says that ‘all good gifts come down from the Father of heavenly lights’. We explained to them that we celebrate Hanukkah and so they now send the gifts at Hanukkah wrapped in Hanukkah paper. It’s strange, but by accepting their gifts, my children have had untold opportunities to share our faith with these relatives in thank you notes. I hope that the Spirit of God guides you in the ways that will touch the hearts of your family. Seeds are being planted; it may take years for the fruit. Stay encouraged!